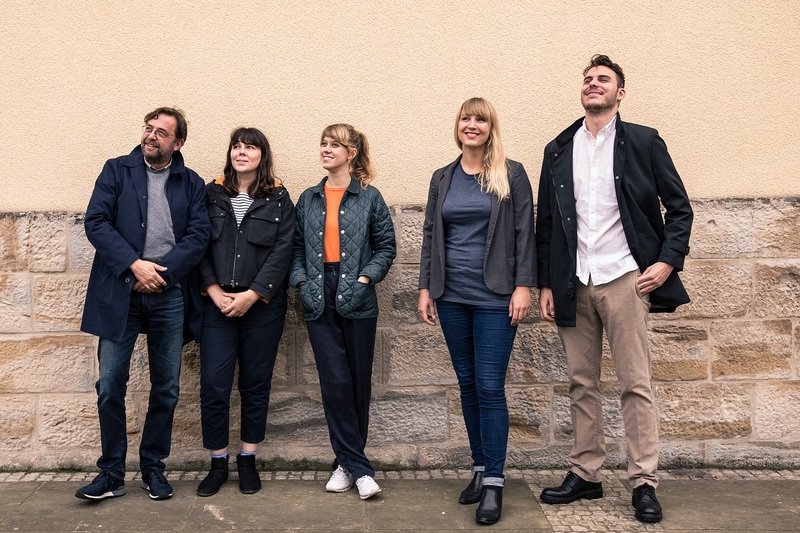 From left to right: Callum Innes (the mentor), Annabel Duggleby, Zuza Golińska, Katja Larsson and Nicola Rossini (the 2017 artists in residence). 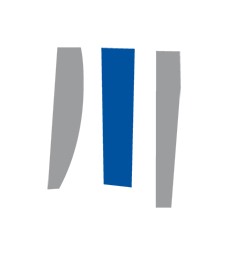 The EIB Institute pays tribute to the extraordinary pool of creative talents in Europe by supporting emerging artists through the Artists Development Programme and by bringing the EIB’s collection closer to the community. Furthermore, it celebrates the creative vigour harboured by the EIB Group staff with a yearly photo competitition. It also allocates grants to international and local non-profit organisations active in the cultural and artistic field. Every year, emerging artists can benefit from a residency programme in Luxembourg under the guidance of an established mentor in their discipline (visual arts), the Artists Development Programme. The Institute offers them the opportunity to develop their artistic practice without any material contingency during the period of the project. It also enables them to produce high quality work that comfortably fits alongside the work of more experienced artists in the collection. As of 2019, the new mentor will be Finnish artist, Jorma Puranen. In 2017, the four ADP laureates were Nicola Rossini, 25, from Italy, Zuza Golińska, 27, from Poland, Annabel Duggleby, 25, from the United Kingdom, and Katja Larsson, 30, from Sweden. Their works were unveiled at the end of their residency. The mentor was British artist Callum Innes. In 2016, four artists –Chiara Bugatti, 25, from Italy, the duo of spatial practitioners Cooking Sections -Daniel Fernàndez Pascual, from Spain, and Alon Schwabe, from Germany, both 31-, Astrid Myntekær, 31, from Denmark and Johan Österholm, 33, from Sweden- worked under the mentorship of British artist Darren Almond. Their works were unveiled at the end of their residency. In 2015, Markus Hoffmann, 33, from Germany, for the thematic focus residency, Aaron Bezzina, 24, from Malta and Fatma Çiftçi 34, from Turkey came to Luxembourg already under the mentorship of British artist Darren Almond. Their works were unveiled at the end of their residency. The two previous editions were mentored by the renowned Polish conceptual artist Miroslav Balka. Jokūbas Čižikas, 25, from Lithuania was the beneficiary of the inaugural 2013 programme. In 2014, the beneficiaries were Dominik Gajarsky, from the Czech Republic, and Dutch artist Sjoerd van Leeuwen. Every year, hundreds EIB staff engage in the Behind the Lens photography competition and express their creativity in three categories: “EIB’s footprint”, “My Europe” and “Sustainability”. Photos are judged on their artistic merit, technical excellence and originality, as well as usability for future marketing publications for the EIB. Both a specialised jury and the broader corporate audience cast a vote, choosing three overall winners, three runners-up in each of the categories and the Staff’s Favourite.